What do Jaguar, Fiat, Jeep, Sheraton and Hewlett-Packard have in common? What about Westin Hotels, Citibank and JetBlue? Not only are they blue-chip, discerning brands, they're also heavy advertisers on sites like driverswhoknow.com, fundwiser.com, celebritynewsstories.com and mommymixing.com, all properties of company called AlphaBird. It turns out, AlphaBird is also getting into the content business—and if you've never heard of these sites, neither have most media buyers. Still, they recently started delivering tons of impressions via supply-side buying platforms (SSPs) like Admeld and Pubmatic. According to one buyer, driverswhoknow.com recently went from 250,000 available impressions to 5 million in a matter of weeks. Similarly, the site cars-trucks-minivans.com, from Genesis Media, has seen its inventory pool balloon via various SSPs. The site’s content is composed of loads of autoplay video ads from Nissan, Audi and Chevrolet and links to cars.com. The Web has never been short on dubious players, including domain squatters that load ads on pages that frequently pop up in generic searches. And in the case of AlphaBird, content isn’t exactly on par with The Economist. In fact, at one point last week, driverswhoknow.com was populated exclusively with press releases. Same goes for deliciousfit.com, which, in addition to several "articles about fitness," included a press release about Facebook's Timeline. Last week, fundwiser.com featured a mix of press releases with links to articles from Bloomberg and Reuters, while Cleverbetterstock.com featured an article culled from Yahoo News—with LinkedIn misspelled in the headline. A similar level of quality exists on celebritynewsstories.com, brilliantriches.com and technewsstories.com. The site politicalnewsstories.com almost entirely features articles from one author, Philip Loyd, who claims to have written for other websites, including Demand Media's eHow.com. At least the video series featured on most AlphaBird sites, 90 Second Reviews, is original, if curious. Between autoplay ads, the show’s host reviews movies such as Goodfellas (released in 1990), along with review sites such as Rotten Tomatoes and WebMd. To be sure, these sites don’t seem to attract heavy user engagement. So why the surge in traffic? 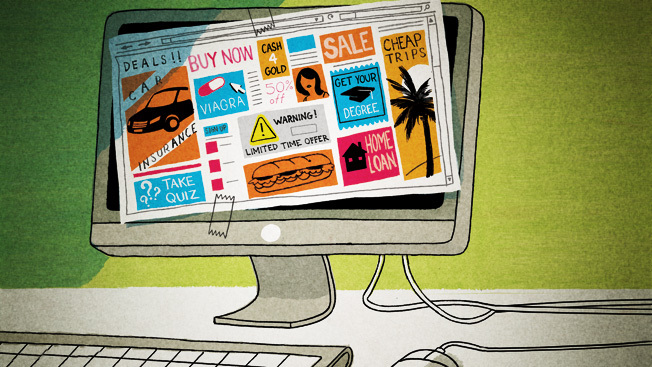 Media buyers suspect these companies are somehow paying for clicks or duping lost searchers. Still, they can command a decent premium via SSPs, since they can be easily labeled as delivering valued audiences such as auto buyers. Meanwhile, the content—since it's not racy, merely lousy—doesn’t raise alarms with verification software from companies such as DoubleVerify. While AlphaBird vows to improve, Genesis said it is getting away from the world of subpar content. And its media aspirations are much smaller. CEO Andrew Reis said sites like cars-trucks-minivans.com are the result of an earlier merger. “This is not our long-term business," he said.